National Realty Investment Advisors just announced it’s launching sales for Ocean Delray, its newly planned 19-unit boutique condo development in Delray Beach. The project, which it’s co-developing with U.S. Construction, marks the first oceanfront condo project in 30 years. Ocean Delray will replace the 18,000-square-foot Wright by the Sea hotel at 1901 South Ocean Boulevard, which NRIA purchased for $25 million in October. The 29-room hotel was built on nearly 2 acres of land in 1953 and features a little more than 200 feet of ocean frontage. 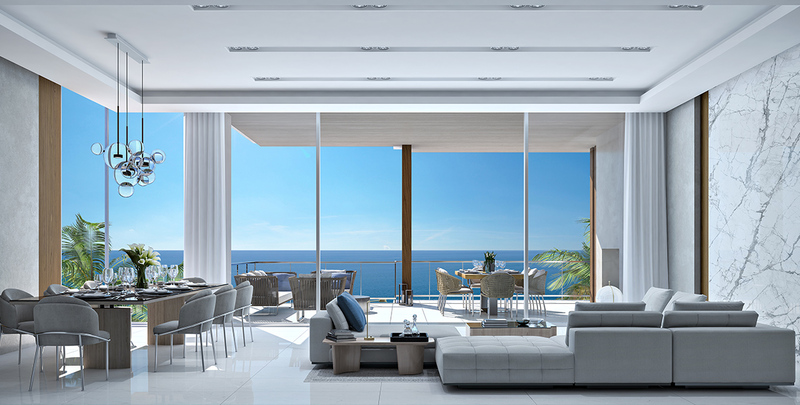 Residences at Ocean Delray will begin in the high $4 million price range, according to a press release. IMI Worldwide Properties will be handling sales for Ocean Delray. The hotel will be demolished and construction will begin in the first quarter of 2019, with a completion date slated for the fourth quarter of 2020, according to the release. South Florida architect Randall Stofft is designing the three-story building. The residences will range from 3,300 square feet to more than 4,600 square feet. The three- and four-bedroom units will feature car garages that can fit up to three vehicles. An added quirk: Residences will be named after famed artists like DaVinci, Michelangelo, and Van Gogh, according to the release. Nearby, developer Craig Menin is planning to open a 120,000-square-foot, mixed-use project called Delray City Market. The development will include a 30,000-square-foot food hall, a parking garage and event space.